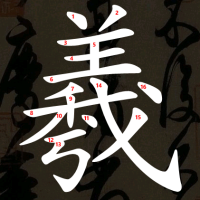 TL;DR: I’ve taken plenty of notes while developing my YiXue Chinese dictionary for Windows Phone. Topics covered in this article include performance tips, best practices, and plenty of code snippets for Windows Phone. This article presents notes and remarks that I gathered while working on a Chinese Dictionary App for Windows Phone, YiXue Chinese Dictionary: mistakes I made, fun tips I wrote down, and so on. I initially didn’t really intend to create a full blog post out of these notes, but their increasing number, and my app recently placing second in Microsoft France’s App Awards contest, gave me enough motivation to share them with the community. Along with various tips and tricks and answers to often-asked (but seldom answered) questions, I will discuss a number of performance improvements that specifically apply to Windows Phone apps. This entry was posted in Algorithms, C#, Programming, Snippets, Windows Phone and tagged algorithms, best practices, code snippets, performance, performance tips, tips and tricks, windows phone, wp7, wp8, xap on March 9, 2013 by Clément.